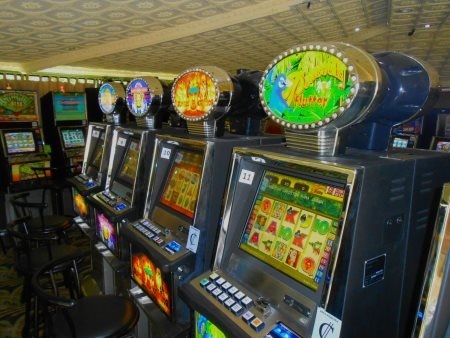 A couple of nights ago, my wife and I were in the mood for a bit of gambling but we did not want to go the usual large and busy casinos in Costa Rica. I personally wastired of going to these large casinos like the Fiesta and the Colonial where the service is lacking and to be honest, where they treat you like walking ATM machines instead of a client. So I asked some of my friends who are avid gamblers to suggest a few casinos and several of them told me to go to the Resort Martino Casino in Alajuela, Costa Rica. Casino Resort Martino is located inside the famous Resort Martino Hotel so it was pretty easy to find as it is right off the highway. I arrived there with my wife at the modest hour of 8pm after we had a nice dinner at Denny’s restaurant that is next to the Best Western hotel near the airport. So after our dinner, it took us about 10-15 minutes to get to the Resort Martino Casino in Alajuela. Parking was not a problem and the entrance to the casino was easy to find as it is located to the right of the parking lot and has a nice neon sign right at the entrance so you can’t miss it. Once inside, the casino, I felt good… I didn’t feel rushed to play and had an all around good vibe about this place. 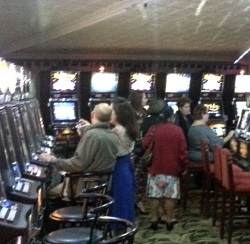 The casino was small but comfortable with about 9-11 people playing games and hanging out at the bar. Even though the casino was small with only two or three table games and about 90 slot machines, my wife and I felt comfortable as it’s nice to get away from the crowded casinos. On top of that, the casino had a beautiful view on the swimming pool and the mountains! We began our night playing a couple of slot machines when a young man named Walter introduced himself to us and asked us if we needed anything. He even gave us a couple of complimentary drinks and told us to enjoy ourselves and that if we needed anything to feel free and ask for him. After about an hour, we tired of playing the machines (losing to the machines really!) and went to try our hand at blackjack. It was just us and a couple of people playing blackjack and the dealer was fun to play with as he had a good sense of humor and made us feel like we were regulars at the casino. We did inquire as to whether you could do any sports betting at the casino but he told me that they did not have a sportsbook at the moment but were considering it for the future. He did suggest an online sportsbook in Costa Rica we could check out that had some very good online sports betting promotions and it was much appreciated. By the end of the night, we came out more or less even but even more than that, we had met some great people that shared the same interest as us and even made dinner plans with another couple we had met at the Pai Gow table. We love Resort Martino Casino and we recommend it to anyone looking for a fun night out in Costa Rica. Even though it’s by no means a large casino, it is has a fun environment and many events like free BBQs, raffles and promotions.